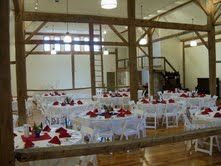 Consider the Hall a "blank slate" to coordinate with the color scheme of your event! We'd be happy to suggest decorations that may help to make the hall the vision you've been searching for. Our built in bar area provides a perfect buffet area, registration space, or gift table. We will provide tables and chairs to suit the needs of your group. From round tables to rectangular, we can seat up to 200 people in various arrangements. Because the Hall is not associated with a specific catering service or restaurant, the choice of food and beverage is yours! Let us know if we can help you find a caterer and/or bartender to serve your event or meeting. We'd be happy to meet with you at your convenience! "The (Hall) was big enough for our large group, yet warm and inviting."